Community bonding is an important part of the wildfire solution. 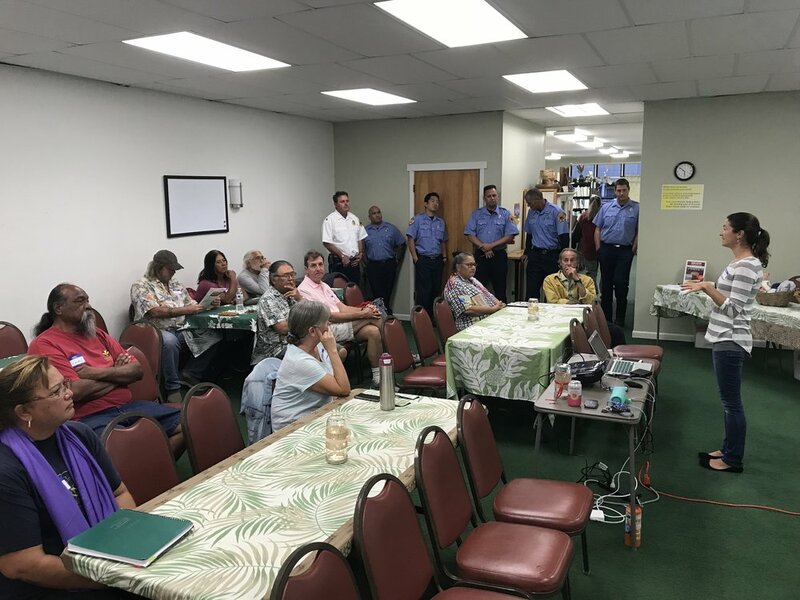 HWMO gathered Firewise Community members from a variety of different communities on Hawaii Island for a night of fun and learning on January 15 at Tutu’s House in Waimea. Along with an in-depth Ready, Set, Go! 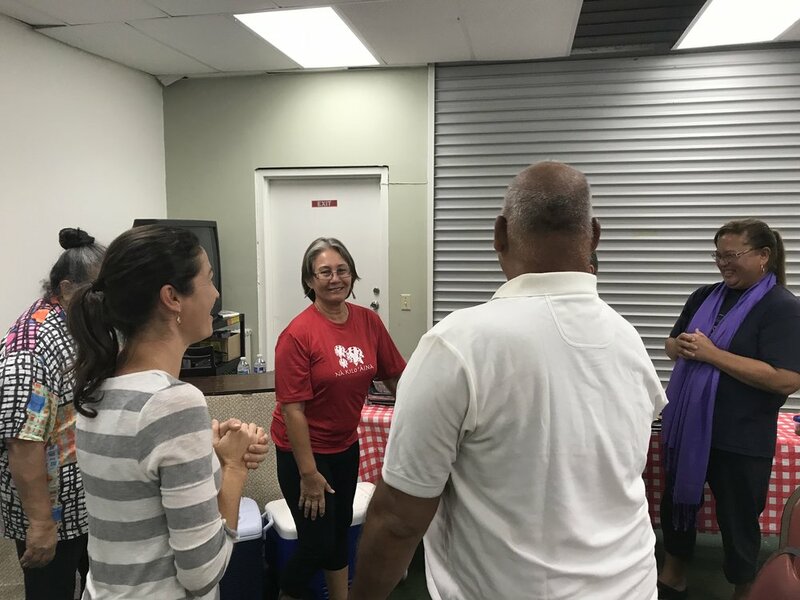 wildfire preparedness presentation, community members also mingled to meet each other and share about community successes and struggles dealing with wildfire. As an ice-breaker, we had a jan-ken-pon (rock, paper, scissors) tournament where community members faced off in one-game elimination matches. The winner was Diane Makaala Kanealii from Kailapa who then faced the winner of the Hawaii Fire Department tourney — and she beat them, too! The catch — each time a winner beat their opponent, that opponent had to join all following matches as a “fan” of that winner. By the end, the winner collects everyone as a fan for them, cheering and rooting them on. Mahalo The Nature Conservancy in Waimea for teaching us this fun spin on a classic! Did we mention the super delicious make-your-own-taco bar! Thank you to everyone who contributed to the meal and came out to Tutu’s House. 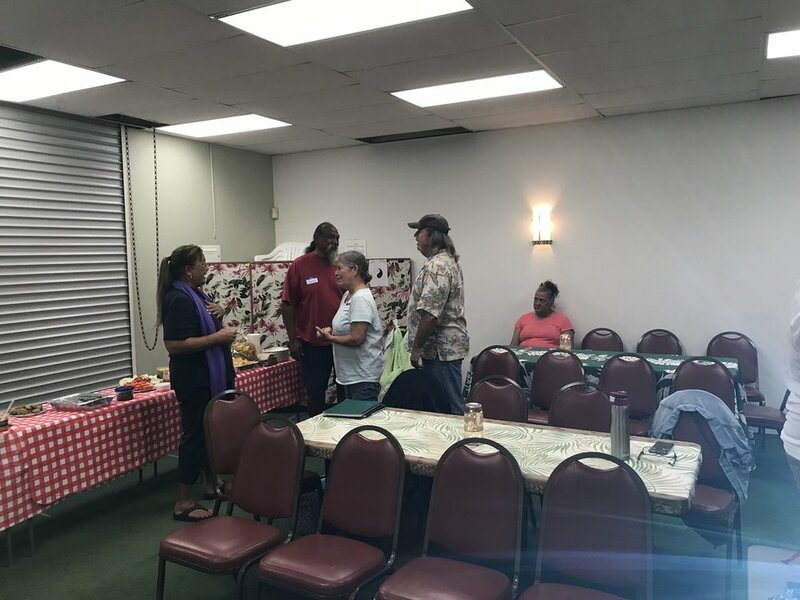 Firewise Community members meeting each other. Full room for the evening. Rock, paper, scissors...what will it be? The championship - Diane Makaala Kanealii wins it all! Ready, Set, Go! wildfire preparedness workshop. Coming together as a community is the way to go.